The renowned French printer, Fernand Mourlot, printed many of the original posters for the most important artists of the day. 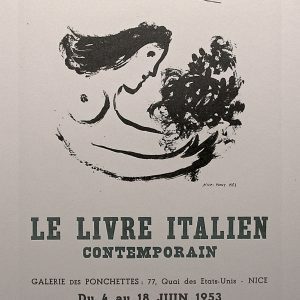 In 1959 the studio printed the series Affiches Originales for collectors. 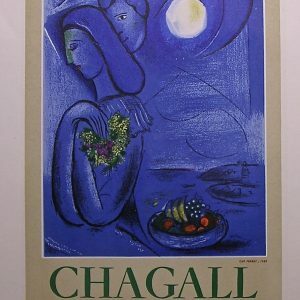 They are reduced lithographic versions of the original posters created by the contemporary masters, Picasso, Chagall, Braque, Matisse, Miro, Leger, and Dufy. 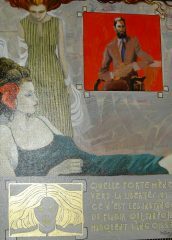 This announcement was for an Easter exhibition in the city of Vence. 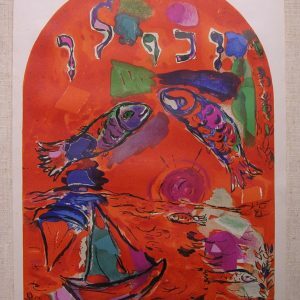 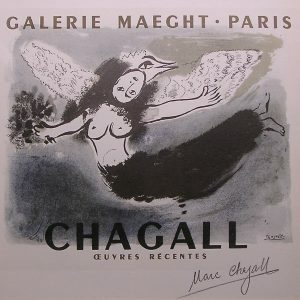 This very rare and desirable 1959 Mourlot poster, of which only 1500 were printed and only a handful known to have been signed, has been signed in pencil by the artist, Marc Chagall. 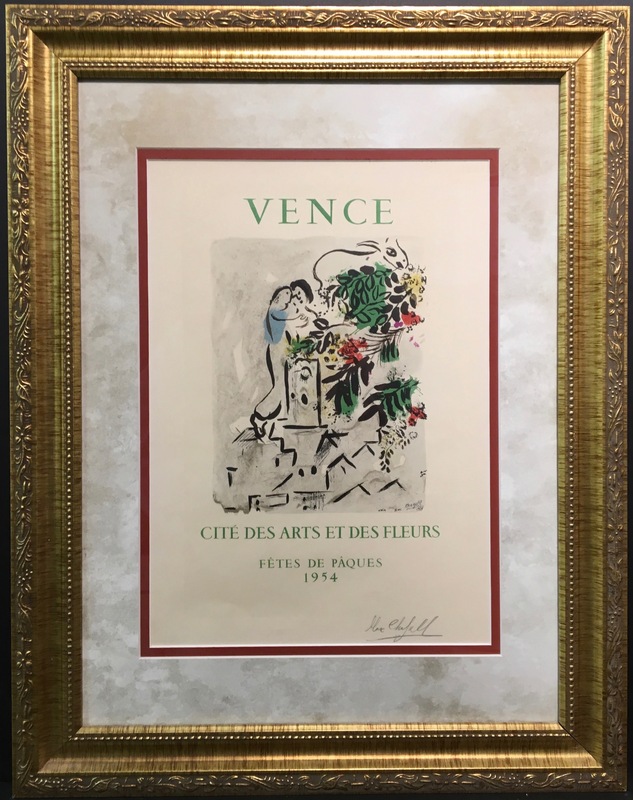 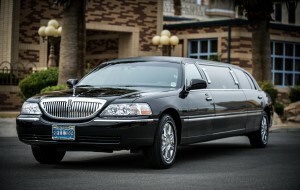 A certificate of authenticity accompanies this collectible work of art.